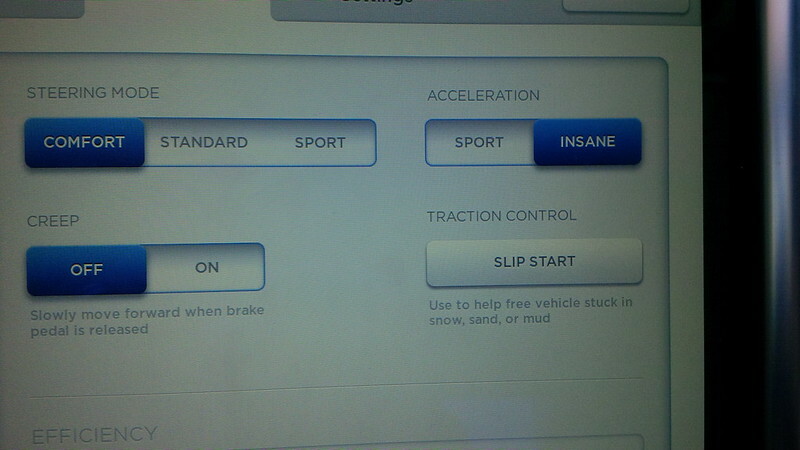 The following experience with various Model S was before the release of 7.0 and Auto Pilot. It was drafted and the experience was in September 2015. 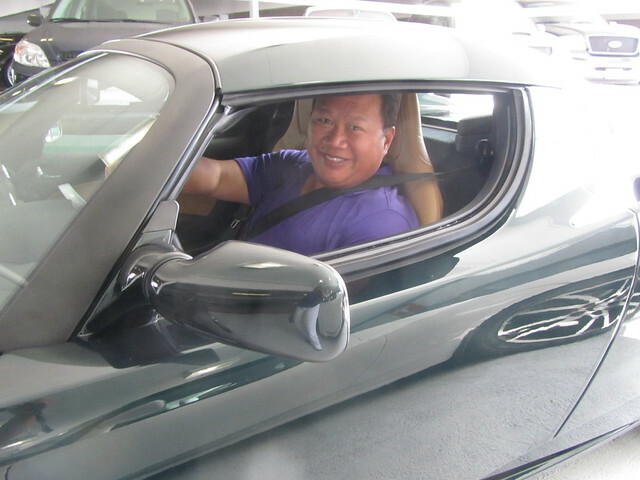 In the beginning of September we brought our Tesla Roadster in for its second annual service. 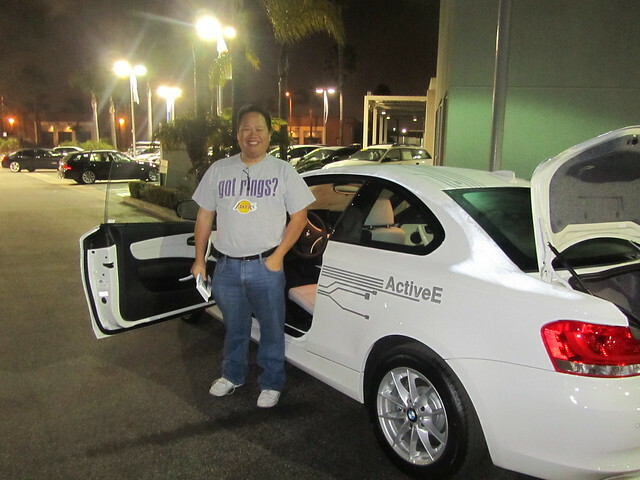 We scheduled the service far enough in advance to ensure that we would have access to a loaner. 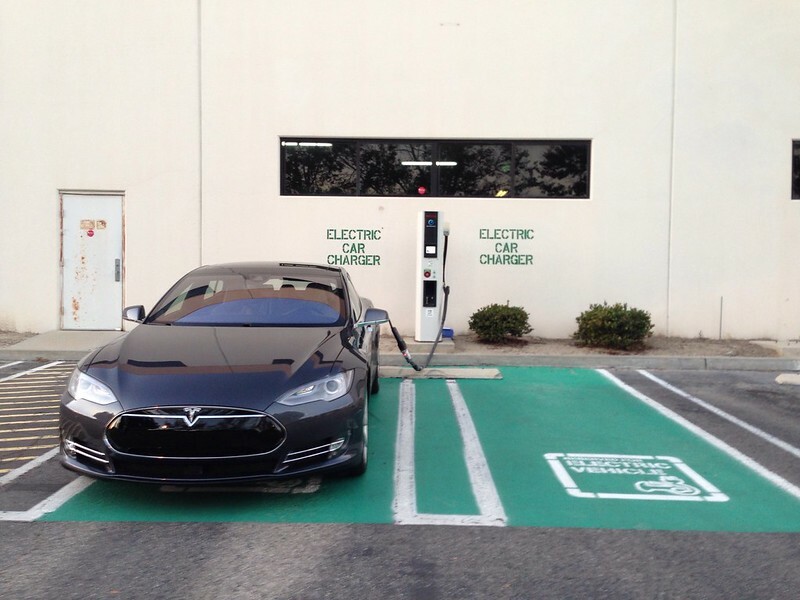 As is customary with Tesla Service loaners lately, we received a CPO P85 for our use while the Roadster was in service. This is not the first time that we drove a P85 or P85+ Longtime readers would remember that we suffered a charging disaster the first day that we picked up our Roadster from Tesla. 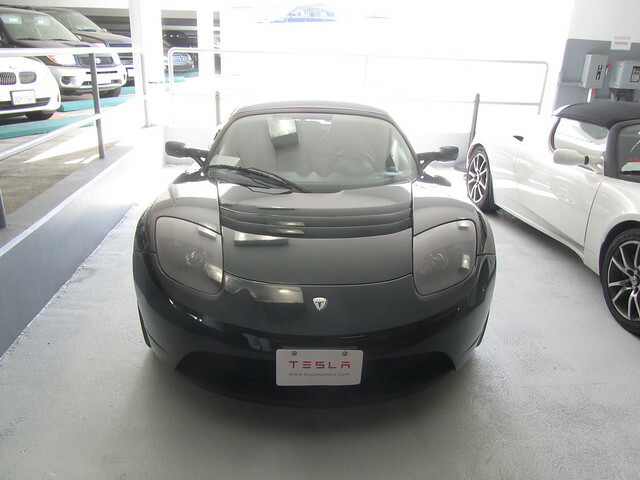 Since the initial draft of this post, it has been reported on teslamotorsclub.com that Tesla no longer provides loaner Model S for Roadster Annual Services, i can’t confirm this post’s assertion as we’re still under our CPO Warranty, and don’t know if that provides a different level of service than Roadsters ex-warranty. The differences between each iteration of the Model S is quite subtle. From the Sig P85 to the P90DL, the car looks pretty much the same. 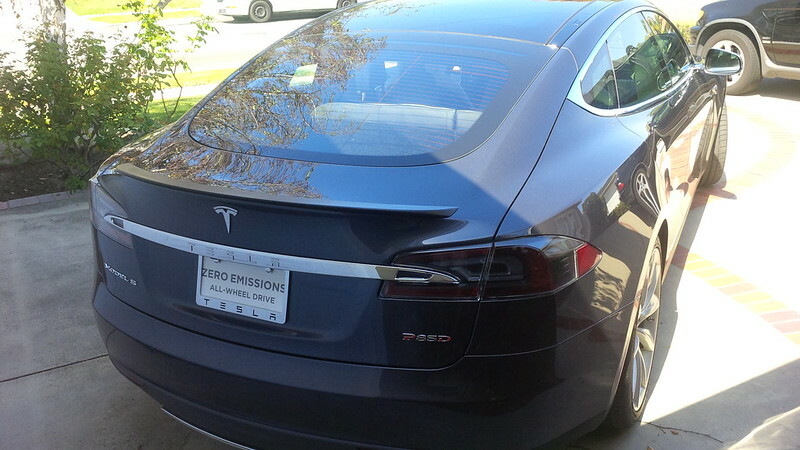 Most stock Model S that have spoilers are Performance models and without the spoiler, usually a Standard model. Additionally, most of the Model S with Red Calipers are also Performance models, but that’s not necessarily a guarantee. The P85 that we initially received for my wife’s Roadster scheduled annual service was Blue and had a Vin number almost double ours (in the 40XXX) and had 19,276 miles when we took delivery of that loaner as they took her car in for service. 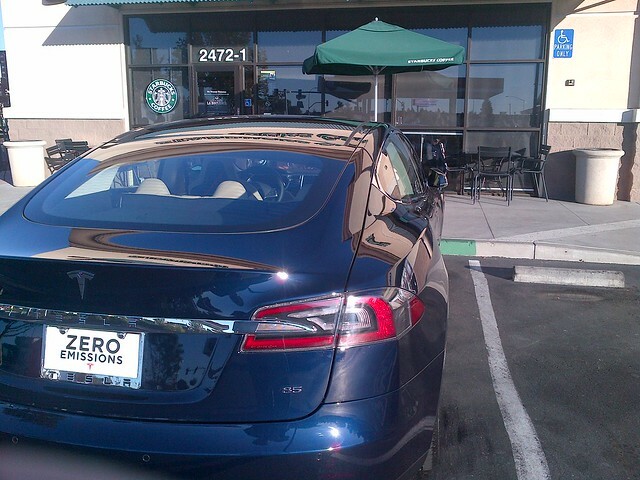 It was a CPO vehicle that the previous owner traded in as was evident when the car was lent to us with “regular” California license plate and not the typical MFR or DLR plates that is indicative of an “inventory” Model S.
It had the same blue as our Model S, but had both the Spoiler and the red calipers. As a newer P85, it drove very quickly and performed well while we used it in lieu of the Roadster or even our own S85. As our car was close to the 50,000 mile initial warranty limit and I wanted to delay the inevitable “buy a warranty or pass on it dilemma” I wanted to delay that decision as long as I can. Her vehicle was taken into service on September 8. We had hoped to get both the Roadster and Model S in for service the week leading up to National Drive Electric Week (NDEW) 2015, but there were some issues found on the PEM and some of the wiring that connected the PEM to the rest of the car that we had the loaner with us as we participated in the first weekend’s activity for NDEW 2015. 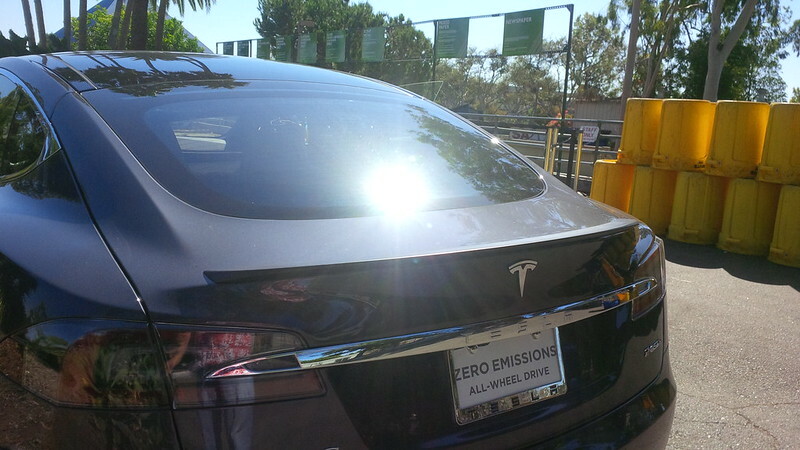 Here is the loaner P85 at the LA NDEW2015 event. Aside from the power of a P85 vs an S85 to clue me in that I was driving a loaner and not my own vehicle, the loaner P85 had cloth seats and black gloss interior versus the Obeche Wood Gloss that we had. 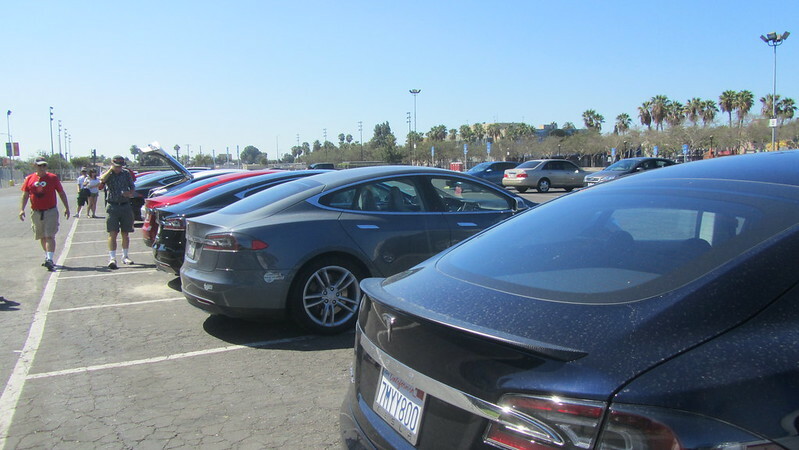 The P85 Model was nice and clean and served as a nice proxy as we attended NDEW 2015 events in Long Beach, Diamond Bar, and Los Angeles CA. The vehicle was a lot quicker than our vehicle and was more of an electricity hog as it was equipped with 21 inch wheels and had a bigger motor. Into the second week of our use of the P85, it started to have some systems fail. The first was the driver’s side door handle started to get stuck and we would be unable to let ourselves into the car via the driver’s side door handle. We had to enter in through the passenger door and open the driver’s side from there. The service center was quite busy and did not have a replacement loaner at the time. The day after the vehicle developed this door handle issue, my wife had used the loaner to go on an errand. While out and about, she stopped to charge the car and the car started to fail. 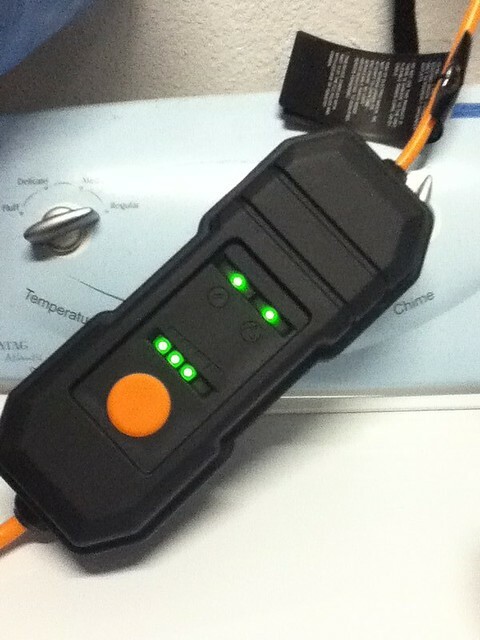 It displayed some sort of low-voltage error and stopped charging. We called Tesla and it appeared that a 12V fault had occurred. Lucky for us, there was another loaner available, and Tesla drove out to her to swap out loaners with her and wait until the tow-truck arrived to take away the P85 that had issues. The second loaner that she was provided was a Grey P85+. 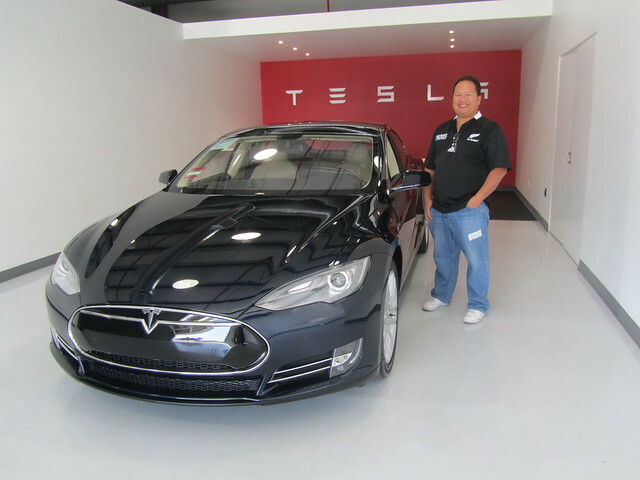 This P85+ was another one from the CPO inventory as it also had regular CA plates, 17,551 miles on the odometer when my wife took delivery of the vehicle. 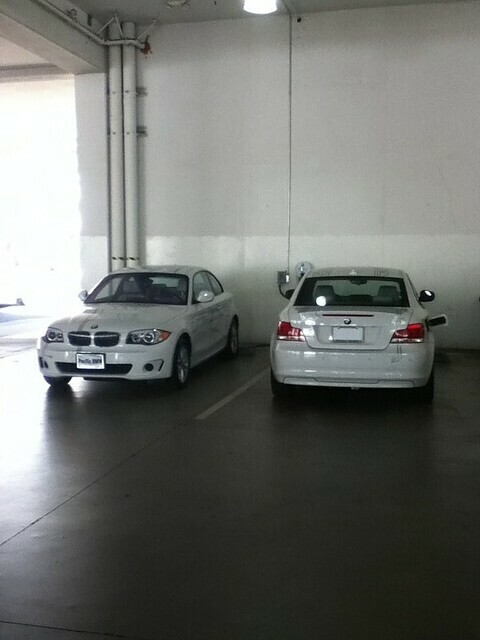 We had driven over 423 miles in the Blue P85 loaner and would add 333 miles to the Grey P85+ loaner that took its place. I could not tell much difference between the P85 and P85+ as they both had the same motor and the enhancements to the plus were negligible. The VIN # on the P85+ was in the 19XXX and is thus older than our vehicle and it did not have the parking sensors and other enhancements that came by the time our vehicle was delivered to us in November 2013. It’s amazing to see how low the mileage was on the P85+ that we were using for a few days. Tesla had to reclaim that vehicle from us because it apparently sold online to a soon to be new CPO owner and they were still working on my wife’s Roadster. They quickly located another vehicle for us to drive while the Roadster spent its time getting repaired and the like. Tesla brought us another Grey Model S. This time, it was practically new. The car was a grey P85D with only 228 miles. It was an Inventory model and didn’t have any plates on it, yet. 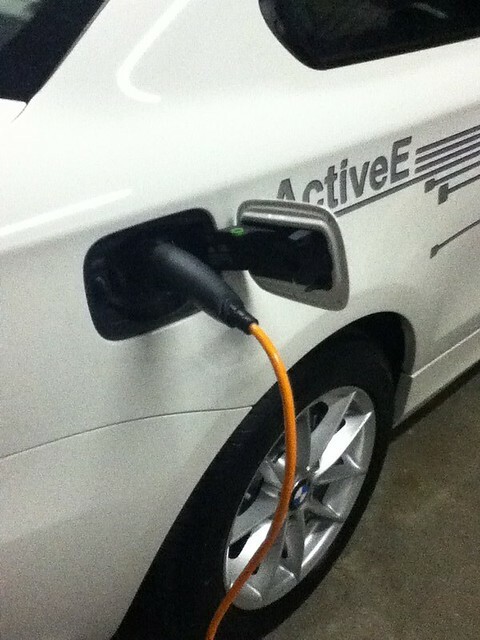 The inventory vehicle came from a store that just took delivery of a P90DL, so the P85D as moved to loaner status. The P85D was equipped with the latest sensors and the like. It had the active cruise control on, not auto-pilot, but at least the hardware for it. As I mentioned in the beginning, all these experiences was in September 2015, before auto-pilot was released. Aside from the label on back, we know that the vehicle is a P85D because it was equipped with Insane Mode and not Ludicrous Mode. Thought to do a little recycling with the P85D. Thought to try out the CHAdeMO adapter (ours) on the loaner. One of the deficiencies of the D is the small Frunk (for a Model S, big if comparing it to the i3.) They had to make room for the second motor, so that takes the place of where a large frunk would be.